The Richland County Ambulance Service takes a pro-active approach in regards to safety awareness through community outreach projects and education within the schools. Along with crucial first responder education, this program includes CPR and first aid training. The program is designed to bring awareness to the community regarding life-saving techniques. For more information on CPR and First Aid classes click here. RCAS holds CPR classes on one Saturday every month. Classes are $35 per person. Watch the newspaper or call 488-2180 for the next class being offered. Participants will earn Heartsaver AED certification through the American Heart Association and will receive training in adult, child and infant CPR, AED usage, and adult, child and infant choking. First Aid classes are scheduled by request from individuals, businesses and organizations. Classes are $35 per person. The American Heart Association First Aid certification includes education on medical emergencies such as diabetes, stroke, heart attack and allergic reactions, and traumatic emergencies such as bone fractures, bleeding, and shock management, among others. If interested in setting up a First Aid course, please call 488-2180. RCAS also works with schools, businesses, and high-traffic public facilities to convey the importance of the installation and training of Automatic External Defibrillators (AEDs), which are essential life-saving shocking devices. For more information on AEDs click here. AEDs are approximately laptop sized computerized devices that are attached to victims thought to be in cardiac arrest, and provide audio and visual prompts to lead rescuers through the steps of operation. AED community programs are easily adaptable to any audience, and the machines are designed to be as simple to operate as possible. They analyze a victim's heart rhythm, determine if a defibrillation shock is needed, then prompt the rescuer to clear the victim and deliver a shock. Because the AED automatically analyzes a person's heart rhythm, it also recognizes when a shock is needed, and when it is not needed. Therefore, it will never shock anyone or anything that doesn't require it. Lay rescuer AED programs in Minnesota, Illinois, and Nevada have achieved 50-74 percent survival for adults with sudden, witnessed, cardiac arrest. 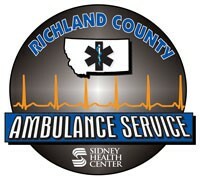 Richland County Ambulance Service is looking to make our community the safest and most prepared it can be by educating the masses in CPR and ensuring the placement of AEDs throughout the county. 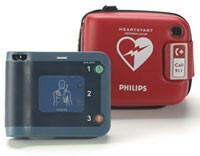 We have implemented a program to ensure organizations can obtain AEDs and AED equipment at a discounted price and with as much ease as possible. If you are interested in placing an AED in your facility, please call 488-2180.